MJ-bodyguard > I´m The biological Father of Blanket. . Wallpaper and background images in the प्रिन्स माइकल जैक्सन club tagged: blanket michael jackson kids prince. 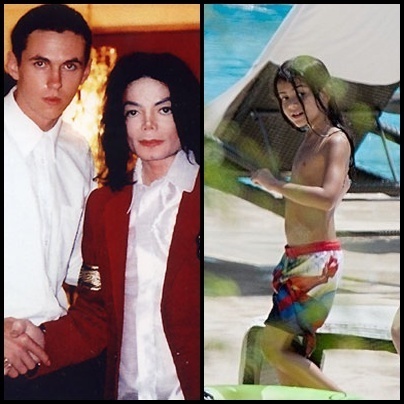 If he is the biological father of Blanket then i have to check my eyes because that man does not look just a little bit like Blanket!! OH SURE. Everyone's trying to cash in on MJ's life. the ultimate disrespect to MJ. leechers, vultures - plz keep them away from MJ's kids! that dumb fucker needs to shut the hell up! anything to get money from his estaste. F**** HELL leave his kids alone they suffered enough plus he doesn't look anything like Blanket ok.
As Aretha Frankin said, "Ain't no way he could be "Blanket's" fsther.